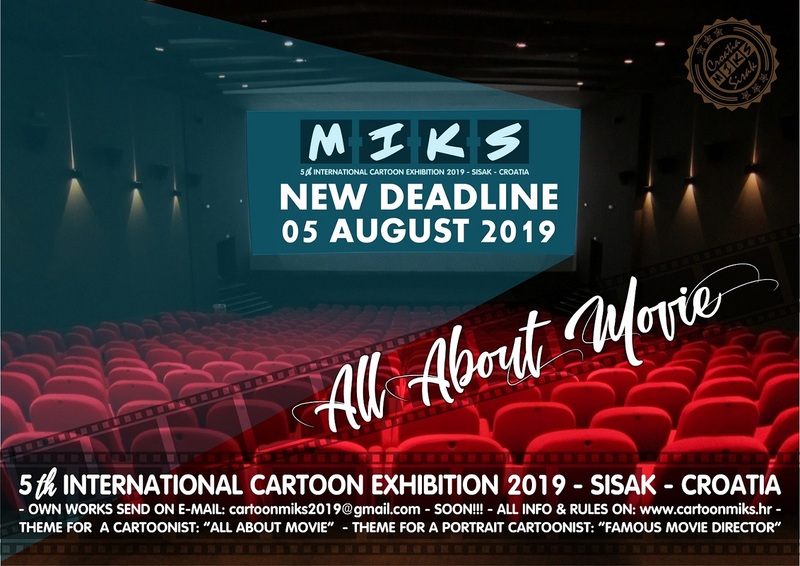 MIKS 2019 "All About Movies"
A. THE THEME (TOPIC) 5th MIKS19 IS: MOVIE! Like every year so far, we have two categories. 1. Works may be original or digital. 2. Works may be black or colored. 3. In the back of each job, print out the name, last name and address. 4. Works may not be awarded at other festivals. 5. Participate up to five (5) papers per category. size can be A4 or A3 (300dpi). 7. Works must not be older than one year. • Each author whose work is included in the exhibition and catalog will receive a catalog. D. Author who do not submit their works to the above-mentioned proposals will not receive prizes, diplomas and catalogs. • Awarded works remain the property of the organizer. • Authors retain copyright in their work. 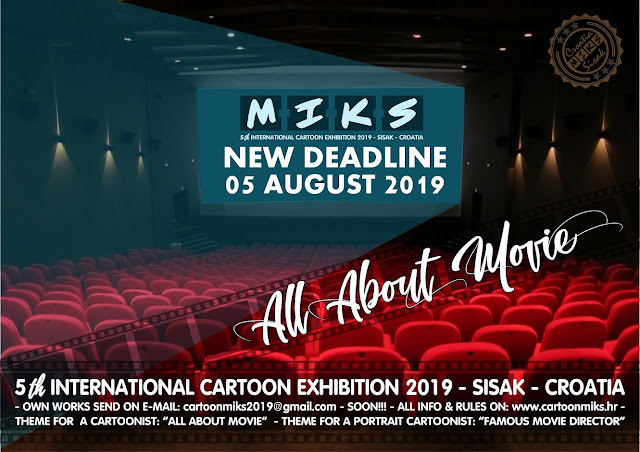 0 Response to "5th INTERNATIONAL CARTOON EXHIBITION IN SISAK - CROATIA - MIKS 2019"